James Lovelock interview: The legendary scientist who inspired SimEarth. Legendary scientist James Lovelock contemplates humanity’s future and SimEarth. This year marks the 25th anniversary of SimEarth, the game that shaped my childhood and inspired me to pursue a career in weather and climate. Throughout the early 1990s, I spent countless hours hogging my family’s 486 to play it, and I wasn’t the only one. 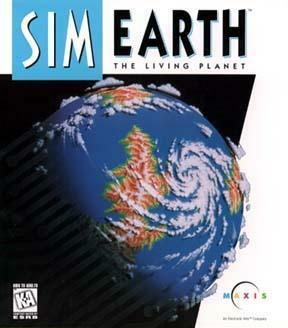 What SimCity did for urban planning, SimEarth did for environmental science. But what made SimEarth really special was its realism. Players were mesmerized by guiding other species to the atomic age, but at its heart, the game was a scientifically accurate approximation of the entire Earth system. The game included realistic feedbacks among land, ocean, atmosphere, and life itself—in homage to scientist James Lovelock’s Gaia theory, which states that life plays an intimate role in planetary evolution. Lovelock was an adviser to the game’s developers, and his “Daisyworld” hypothesis—intended to prove that life itself evolves to regulate its environment, making it more likely for life to thrive—was incorporated into SimEarth as a tutorial. I’d unleash hordes of rabbits to eat the daisies, but the flowers would gradually bring things back in order and eventually flourish once more. Lovelock developed his theory while tasked by NASA to invent a life-detecting device for the Viking landers on Mars. In doing so, he made a profound observation: Life tends to increase the order of its surroundings, and we don’t need to send a probe to the planet to find it. If life is thriving, studying its atmospheric composition will be evidence enough. In SimEarth, the planet itself was alive. Once civilization emerged, you could watch the impacts of changes in atmospheric composition due to fossil fuel burning or the temporary expanding ice caps in the aftermath of a major nuclear war. The game came with a 212-page manual that was at once an engrossing lesson in geology, meteorology, ecology, and environmental ethics, written in language even 11-year-olds could understand. Through his wife, Anya, Will Wright—the mastermind behind the Sim franchise—told me he has “huge respect” for Lovelock. The game’s full name even nodded to the Gaia theory. It was SimEarth: The Living Planet. Earlier this month, Electronic Arts essentially shut down Maxis, the developer of SimEarth and SimCity, which EA acquired in 1997. The breaking point apparently came after the 2013 iteration of SimCity, which was labeled a failure due to its shift away from individual gameplay (though it had its fans). New games in the spirit of SimEarth are still being made, but nothing will ever match that classic. As humanity tackles the idea of the Anthropocene—the proposed name for the idea that we are now in a new geological age, one in which humans possess SimEarth-scale powers to affect the planet—we’re at a crossroads. But SimEarth and its lessons are as relevant as ever. So is Lovelock. At age 95, he has just released a new book—a poignant bit of timing, given that SimEarth just came to an end. A Rough Ride to the Future is part autobiography, part a continuation of his philosophy of Gaia. In it, Lovelock suggests a period of “accelerated evolution”—literally a million times faster than Darwinian evolution—began in 1712 with the invention of the steam engine. That’s brought amazing technological progress (like video games) alongside unprecedented uncertainty about the future of humanity. The catch is, as Lovelock writes, “we are not yet evolved enough to regulate ourselves.” Lovelock says that’ll change in the coming decades with the advent of superintelligent artificial intelligence, a transition that he says humans should embrace because it will help us to bring about a great future and spread throughout the galaxy. SimEarth actually included an Easter egg that explored this scenario: If you nuked a nanotech city in a desert, intelligent robot life would form. When Lovelock and I spoke by phone last month, he told me that could be a parallel for what he thinks is the next stage in human evolution—a blending of human and machines that has seemed to make him much more optimistic for the future than he was in his past books. We mostly discussed his continued fascination with the complexity of life in the universe, which is admittedly a pretty broad topic. When SimEarth was developed, 25 years ago, we weren’t sure if there were other solar systems besides ours. Now, we’re entering perhaps a golden age of exploring planets outside our solar system, with the possibility of analyzing exoplanet atmospheres. Do you think the Gaia theory—the fact that life modifies its host planet’s atmosphere—might be used to discover the first evidence of life on other planets? It’s very exciting. If we find a mixture of gases on some planet that reacts on a relatively short timescale, say 10 or 100 years, it almost certainly means there’s life on that planet. It may be as short of a time as next year, or it may be 100 years. You worked with Will Wright to develop SimEarth. That game was revolutionary and helped inspire me, and countless others, to pursue careers in climate science. There’s a lot more vying for children’s attention these days. If you were to help make an environmental video game today for kids, what would be the main lesson you’d want them to learn? Working on SimEarth was very fun. For students today, the most important thing is to take a long view. It’s easy to get worried about things like climate change, but the planet has been through worse in the last 3 billion years. I think we’ll pull through. Your new book focuses on the idea that humanity is about to enter a new phase of evolution aided by rapid technological change. Moore’s law [which states that computing power doubles every two years] probably extends well beyond the computer. I think it’s a generality. The conduction of electrons along a circuit is a million times faster than the conduction of ions along a neuron. Our brains are actually quite slow. That said, and I may be wrong, but I think that artificial intelligence isn’t really intelligence at all by our standards. Because computers are so fast, they can do all sorts of things, and they have side routines and so on and so forth. But sports players make really high-level mathematics look like child’s play. Our minds obviously think in a massively parallel manner, not in a logical step-by-step manner like a computer. In our own strange ways, we are very much more intelligent than we think. An awful lot of our intelligence is unconscious. It’s intuitive. You write that humanity has the potential to become the intelligent part of Gaia, quite literally the mind of an entire planet. Do you think future humans will do a better job at taking care of the Earth than we have? We’ve often thought of ourselves as God’s chosen creatures, you know, “there’s nothing better than us.” I think this is a load of nonsense. Something is going to evolve that will overtake us. My guess is it will happen through that process that my colleague Lynn Margulis discovered—endosymbiosis—perhaps with computer chip life that could form a new sort of entity. In fact, it’s happening already. I’ve got a pacemaker installed in me that has a 10-year battery, but I understand that the next generation of pacemakers will get their power from the body of the person it’s installed in. This can evolve. I’m an optimist, and it’s quite often that you find that it’s disasters that lead to advances. An example: Forty years ago I had a heart attack, and I survived. It made me do things that I should have done anyway: give up smoking, get much more exercise, and lead a sensible life. At the time, I thought it was a disaster. The same thing, I think, applies to the Earth. We can’t have it both ways. If climate change or something is going to cause a great disaster, then Moore’s law will come to a halt. 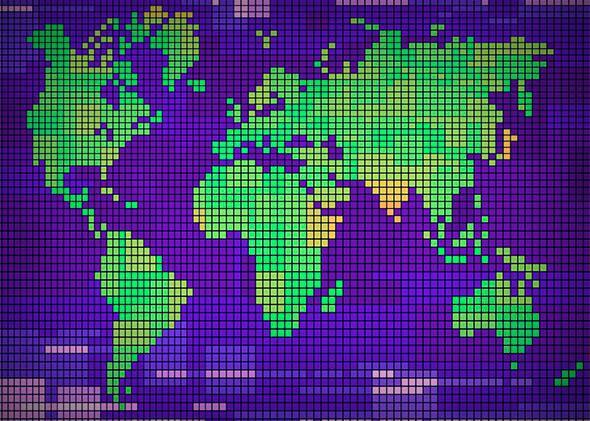 Conversely, climate change could ultimately be fixed with the help of computer intelligence. I choose the second scenario. At my age, you haven’t much option except to be an optimist. SimEarth helped steer my preadolescent mind to the idea of infinite possibility. It’s hard to say what might happen in the next century, but humanity surely needs Lovelock—and other outside-the-box thinkers like him—to inspire new ways for us to explore our rapidly changing planet.